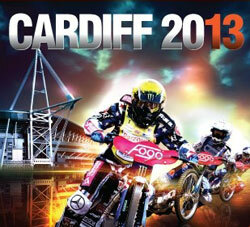 The 2013 British Speedway Grand Prix will take place on Saturday 1st June at the Millennium Stadium in Cardiff. It will be the 13th successive year that the Millennium Stadium in Cardiff has hosted the prestigious speedway event. Watch as 500cc bikes roar around the specially created dirt-track at speeds of over 70mph, with no brakes or gears! You won't be able to hear yourself think, but this is family entertainment at its best. Tickets to the 2013 British Speedway Grand Prix are on sale now. Follow the link below to buy online, or call the Millennium Stadium box office on 08442 777 888.